Ok, I don’t know about you guys, but my bathroom counters are always a mess. I’m a busy mom and the time it takes to throw on some makeup, run a brush through my hair and a toothbrush over my teeth is about as long as my little buddy boy will allow me to primp in front of the mirror. And it takes three times as long as it used to because I’m constantly pulling my curious little monkey out of things! One thing he loves to get into: Cotton balls and Q-tips. Alright, I guess that’s two things. I used to keep them in a drawer, still in their respective boxes they came home from the store in. Too easy, Momma. The little monkey has them all over the floor before I even get half way through the routine… So, organization to the rescue! Away go those store boxes (now he can play with them to his little heart’s content) and enter glass jars. 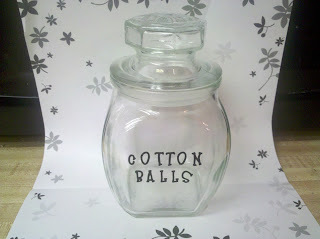 But the glass jars by themselves were soo boring. Vinyl to the rescue! Whatcha think? 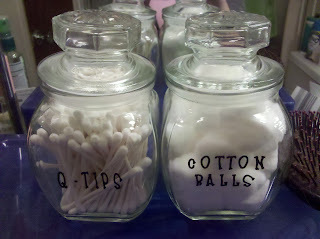 Found the jars at the Dollar Store (I love that place!) 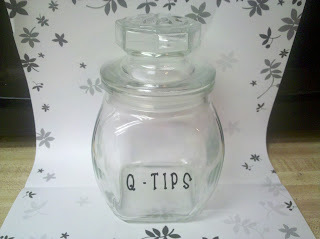 and had the vinyl on hand, so this project cost me a whole $2! Score! Thanks for linking to We’re Organized Wednesday. I just did something like this and I love it! It helps so much to have them out on the counter. Thanks for sharing your cute idea over at Tuesday Tell All. very cute. What a great way to organize. Thanks for linking up to Topsy Turvy Tuesday’s! Looks great, vinyl makes everything cuter! Saw you at We’re Organized Wed, thanks for sharing. Cute jars and I love the vinyl too. I’m hosting We’re Organized Wednesday through Saturday and would love for you to join the party. There’s a givea way too. Hope to see you there. So great! You totally scored on the glass jars too. thanks for linking to Transform Tuesday!! lovely! thanks so much for sharing all your great projects on Craft schooling Sunday! Great to see you and hope to see you again soon! 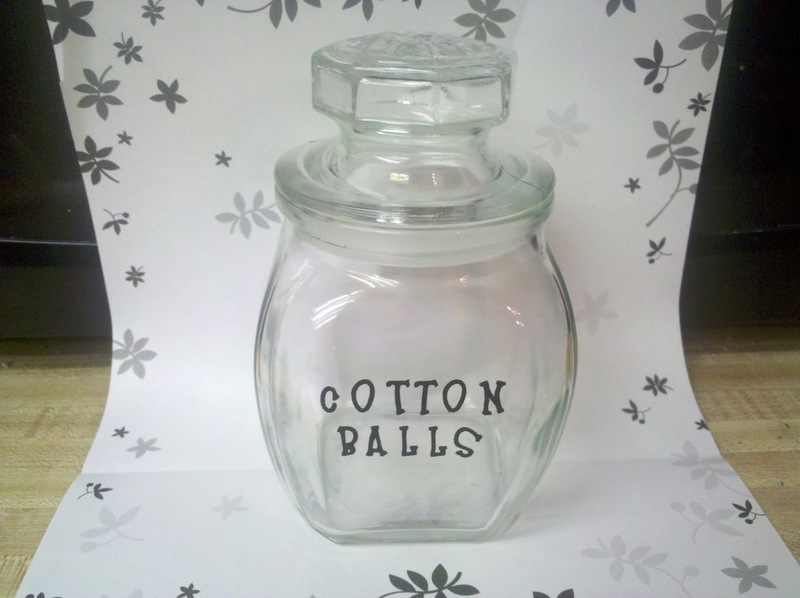 Cute jars! Thanks for checking out my Fall rag wreath over at A Little Bit of Everything!